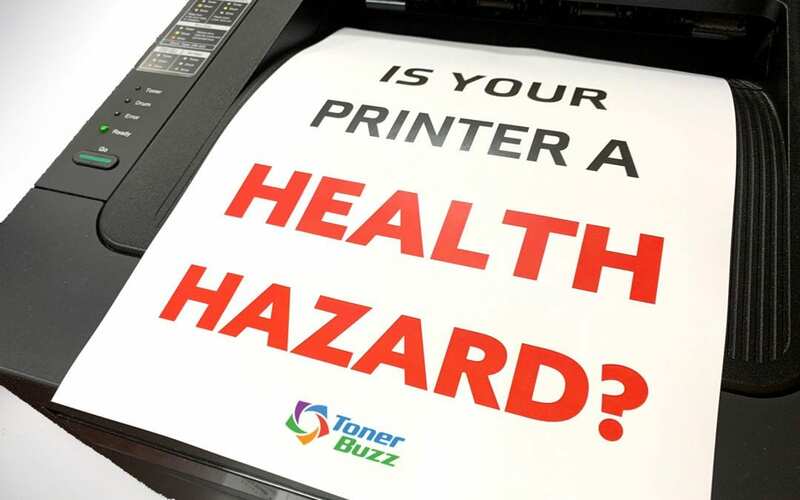 Is Your Printer A Health Hazard? Not so long ago, your printer posed a real health risk. In the early days of desktop publishing, printers were not only big and noisy, they emitted a variety of potentially hazardous chemicals. Over a decade ago, PC Magazine reported that laser printers can emit the same volatile fumes as a burning cigarette. Since then, HP, Brother, and other OEMs have worked to reduce printer emissions and make their products safer. Other similar reports released that certain printer ink can be toxic to your skin. The last thing you want is your laser printer leaking toner dust. This is a very real possibility if you use non-OEM toner cartridges. These cartridges are not held to the high standard of genuine OEM toner cartridge manufacturers. The International Agency for Research on Cancer classifies dry toner dust as a Group 2B carcinogen, meaning it may cause cancer in humans. Other studies show substandard toner cartridges can produce unsafe levels of ozone and carbon monoxide, both of which have been linked to a variety of health problems. The big OEMs invest a lot of time and money developing toner cartridges that are safe(r) for humans in general and the environment as a whole. This includes cartridge buyback and recycling programs, which are rare among non-OEM manufacturers. It’s not worth the potential health risk to save a few bucks buying non-OEM toner. Genuine OEM toner cartridges are made from more durable materials, deliver better final results on the printed page, and — most importantly — pose very little health risk to users.